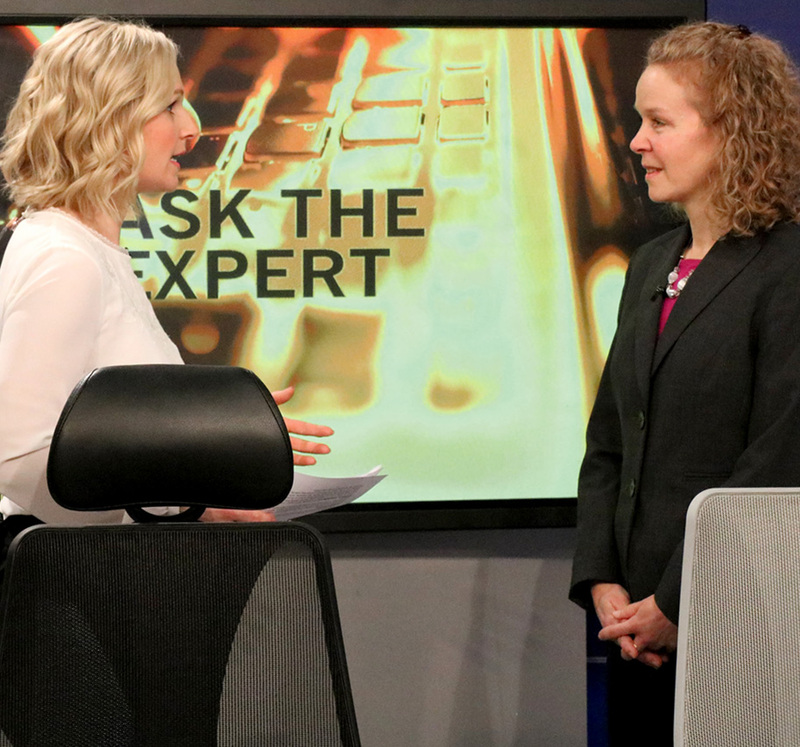 Ottawa’s CTV Morning Live Ask the Expert recently featured ergoCentric, while highlighting a number of the company’s products. CTV host Annette Goerner interviewed Canadian Certified Professional Ergonomist and ergoCentric spokesperson Pam Grills of Ottawa-based ErgoPrime; the feature segments focused on the tCentric Hybrid Task Chair, the upCentric Height Adjustable Table, and best practices for companies looking to ensure all employees have workstations that are set up in an ergonomically correct manner so as to prevent common workplace injuries. The tCentric Hybrid offers 5” of infinite back height adjustment, not available on any other work chair, as well as superior lumbar support, three-way adjustable armrests, and revolutionary Airless Cushion Technology™. Grills, who also focused on the benefits of the upCentric Height Adjustable Table, showcased how workers can easily alternate between seated and standing positions throughout the work day, thus reducing stress and tension and improving overall circulation throughout the body. The informative segment touched on ergoCentric’s modular manufacturing, which ensures its task chairs are as dynamic as the many different individuals who sit in them.